Livestock producers in the Sierra and Sacramento Valley regions must contend with a variety of predators. 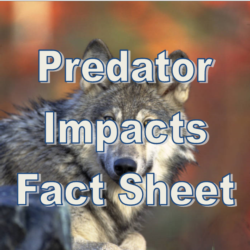 This page includes information regarding a the types of predators in the region, as well as current information regarding livestock protection tools. 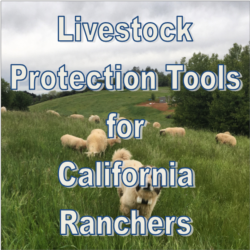 To help ranchers evaluate livestock protection options, we've published this new guide to nonlethal tools. For additional information, be sure to check out the Livestock-Predator Information Hub at UC Rangelands! This page is under construction - check back frequently!